DJI Spark is best mini drone at moment is smaller than a can of soda, making it the most compact and lightest drone from the popular drone maker. However, while it’s surprisingly tiny, we’re far more impressed with how almost anyone could fly it thanks to several new smart features. A high-performance camera with a mechanical gimbal, gesture technology, obstacle detection, FPV compatibility – these are just a few of the reasons why the Spark has become one of the best-selling drones today. By itself, the Dji Spark provides an amazing drone flight experience. However, with the right accessories, the Spark can do so much better. 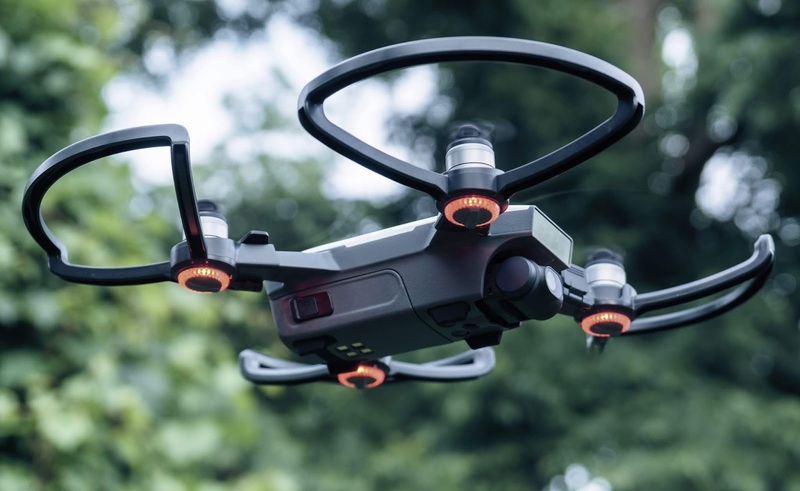 We have compiled a list of the best accessories available in the market today so that you can maximize the potential of the DJI Spark. Even if you’re still just considering buying your own DJI Spark, we have some awesome tips for you! Take full control of your Dji Spark quadcopter with the Remote Controller from DJI. As most drone enthusiasts can tell you, piloting a drone using a smart phone is convenient but can feel quite clunky. 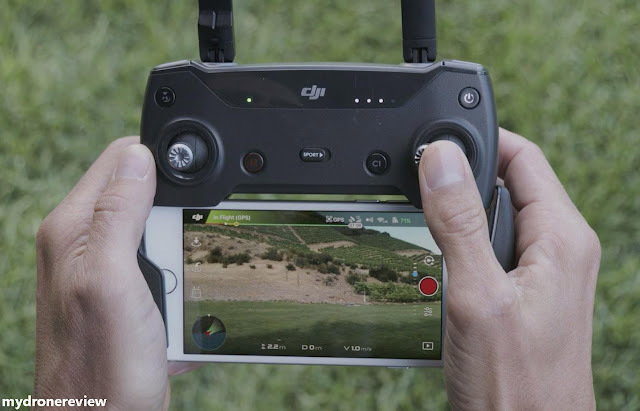 If you want smoother controls with a tactile feedback, DJI sells the Spark Remote Controller which provides up to 1.2 miles of video transmission and controller range. When using the Spark in Sport Mode, the Remote Controller allows you to fly it at speeds of up to 31 mph. You can also connect the controller to your compatible smartphone, enabling you to watch a live feed from the Spark's onboard camera on your mobile device. The DJI Spark remote control is $118 to buy it alone, or included in the DJI Spark Fly More combo. Not technically an accessory, I know, but you should consider picking up one or two extra batteries for your Spark. Flight time for one battery is ~15 minutes, which really limits your fun. Having one or two backups makes it so you won’t be constantly paranoid about the drone dying. It’s definitely a good idea. As an FYI, that Fly More Combo that I mentioned earlier comes with an extra battery. And battery life is one of the reasons we think in the MAVIC Pro vs. Spark debate, the MAVIC Pro is better because it has basically 60% more flight time on a single charge than the Spark. 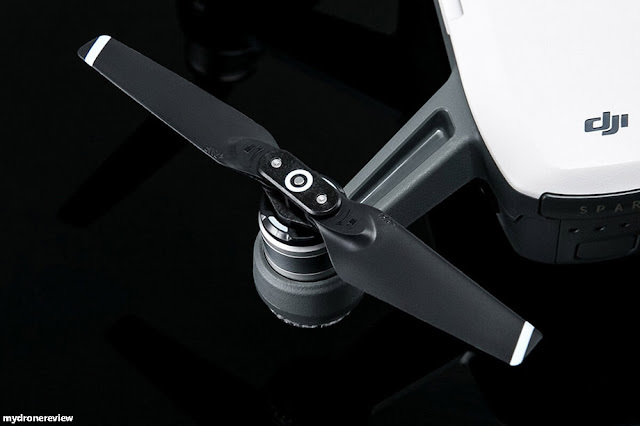 If piloting your DJI Spark safely is your goal, then the DJI Spark Propeller guards and landing gear is the perfect thing for you. Simultaneously protect your propellers from incidental damage while also protecting your Spark aircraft from any loose gravel, rocks, or other debris on the ground. Easy-to-install and easily removable, the foldable design makes them perfectly portable for rapid transport. Again, these come in the Fly More Combo, but you can purchase them separately for around $20. Propeller guards are a good idea if you plan to fly the Spark in any tight spaces or indoors. It protects you from the blades and the blades from any serious damage. Neutral density filters are extremely important when shooting video on a drone. They allow you to capture more cinematic footage when the sun is bright during the day. The rule of thumb is that the shutter speed should always remain at 2 times the frame rate so if you’re shooting at 30fps at 4k on the Spark your shutter speed should remain as close to 60 as possible. Outside of darker/cloudy weather this can only be accomplished by using ND filters which limit the sunlight entering the lens. This allows you to keep to the 2 x frame rate rule for buttery smooth cinematic footage and also allows for much easier colour correction of your footage in post production with the fixed shutter speed. The PolarPro DJI Spark Cinema Series 6-Pack includes all filters from the Vivid and Shutter collection. Each filter is constructed with high-quality materials that enable you to capture the best image quality possible. PolarPro prides itself on its craftsmanship and attention to detail when it comes to building filters, and we made no exception with our camera filters for DJI's Spark. Included in the Cinema Series 6-Pack are ND4/PL, ND8/PL, ND16/PL, ND8, ND16, and ND32 filters. Each filter is constructed with our Cinema Series production level glass with AR coatings. Crafted with aircraft grade aluminum, the filter frames are designed to be lightweight yet durable. If you currently own a DJI Spark, you’re probably making use of your smartphone and the DJI Go App to see what the DJI Spark is actually shooting in real-time. 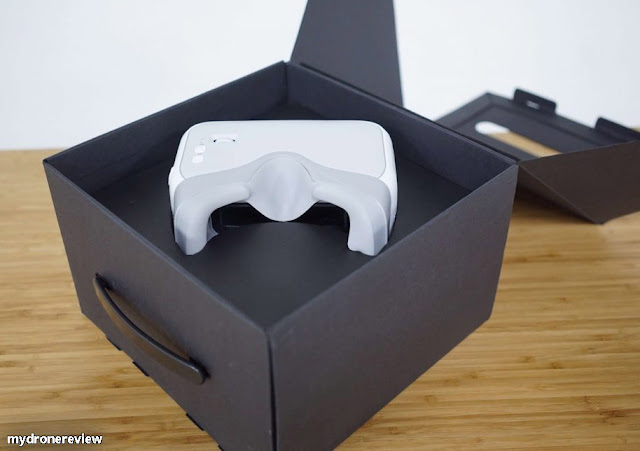 However, you can take the experience to a whole new level by purchasing DJI Goggles, the company’s own FPV goggles that give you a real-time first-person view of what your new mini drone is actually recording. At first glance, the DJI Goggles look like one of the several VR headsets that are available today. 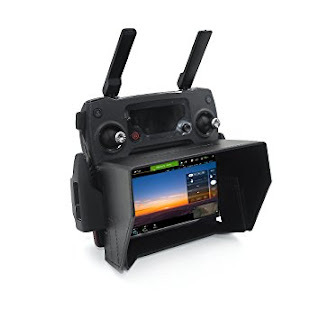 It has two Full HD screens and has a head tracking feature that literally lets you control the DJI Spark with your head. Users can view the real-time footage in either 720p/60 fps or 1080p/30 fps depending on their preferences. Even with propeller guards, a drone’s propellers are bound to break due to their thin and light build. There are few things more disheartening than having to cut short a drone flight session because you broke your drone’s propellers in a crash. This is why it is highly recommended to keep a few sets of extra propellers with you all the time. The Spark Quick-Release Folding Propellers are designed to be easy to carry, and can be quickly attached and removed from the drone. The DJI Spark is small enough that you can throw it into any bag for easy transport however we recommend getting a small case as projection for it. This way you can pack it and a few key accessories into any bag and have reassurance that it has some protection from damage. The PolarPro case may be the best case for the DJI Spark. 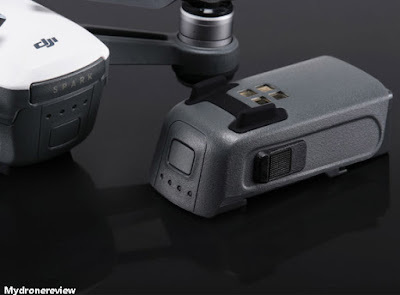 It’s super compact, holds the drone and up to two batteries and you can easily pop it in any larger bag with your accessories and you’re good to go. The maximum video transmission range provided by the DJI Spark’s remote controller is 2 km, which is impressive to say the least. However, if this is not good enough for you, we highly recommend you to purchase a range extender like this one that you can attach to the controller in order to improve the connection range and stability. It consists of a remote signal expansion board which is made of an aluminum material, which acts as an idealized radar antenna. The metal sheet used here faces outward and generates a fan beam because of its oval shape. This range extender is far from expensive as it can be purchased for just under 10 bucks. Make sure you always have enough storage space for your footage before you go on tour with your Spark. 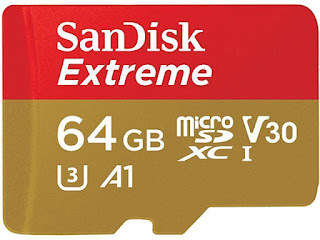 Many of us underestimate how fast the space of the included 16GB SD card is used when recording Full-HD videos. However, avoiding the situation to still have enough battery power left for a flight but no free SD card to store the recordings is not difficult these days. Please note that not every SD Card will work with the Spark. Cards with a slow writing speed will destroy your footage. We recommend using one of the SD Cards we listed down below. 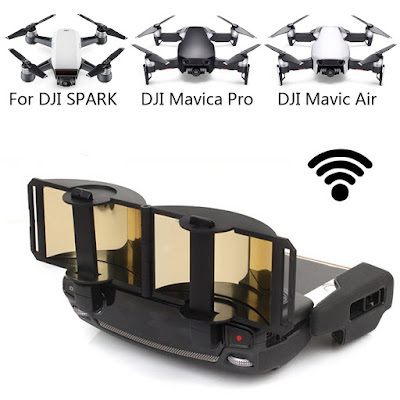 Having no screen in spark remote control Freewell Remote sunshade is must have accessory , The DJI Spark Sunshade from Freewell is the best solution to combat glare on your phone screen when flying in bright daylight. The ideal design allows it to be used with DJI Spark remote with phone size as iPhone 7+ easily and most efficiently. The sunshade provides sufficient cover to the screen so as to provide a clear and smooth view while flying the drone. It allow you to easy access your phone screen . The neck strap solution offer you to hold it comfortably without putting pressure on your hand all the time. Its 4 side wall make sure your phone screen is protected from all the side against outside ray’s. The charging station is basically a power bank that can also charge drone batteries while being charged itself by an external power source. It can be used as a wireless charging station or a battery charging hub like what DJI made for Phantom 4 batteries. It has a 5000 mAh battery for wireless charging, which takes 1 hour and 35 minutes to fully charge. The station weighs about 1.5 pounds or 680 grams to be exact. It can charge three batteries for up to 48 minutes of flight time. DJI rated the charge time for three batteries at approximately 2 hours and 30 minutes. Its USB port has a 5V 2A output to charge mobile devices like phones and tablets. When the Spark Portable Charging Station starts to charge, it will fully charge the drone first then the other batteries after. 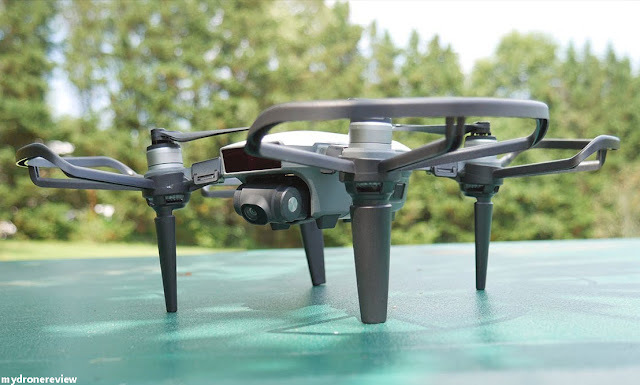 DJI has a great reputation in the drone industry, and the company’s latest DJI Spark mini drone lives up to the brand’s name with its compelling set of features. If you’ve recently purchased the Spark, especially the $499 variant, you’ll have to purchase some of these additional accessories to enhance your drone-flight experience. From additional batteries to range extenders, there are plenty of options to choose from. So, which of these DJI Spark accessories are you planning to buy? Do let us know, by dropping a few words in the comments section down below.